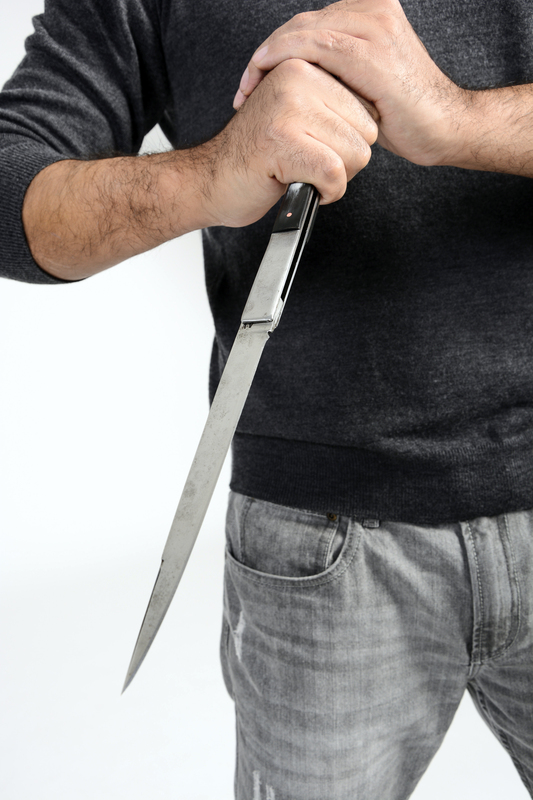 Sword of the People: Traditional Italian Knife and Stick-Fighting — Part One. NB: Although reconstructed European martial traditions, or “HEMA” receive the most attention, there are still a number of living, European fighting arts that continue to be passed on, master to student, as they have for generations. 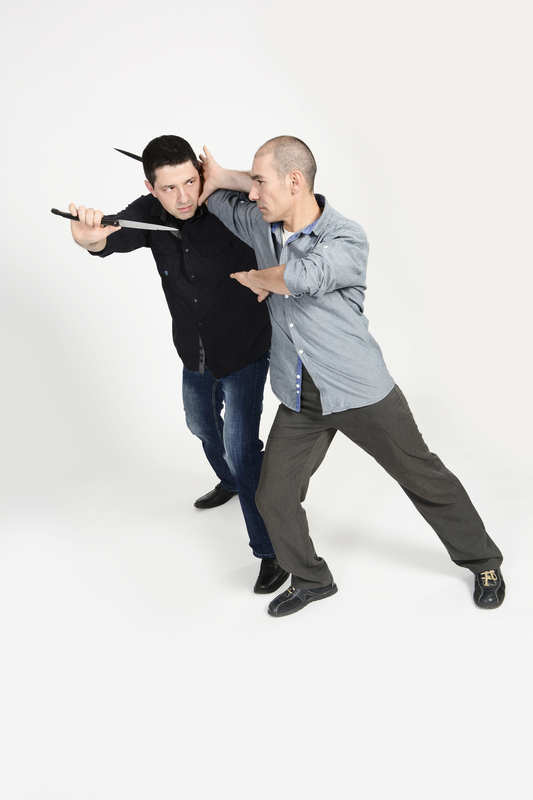 Some of these, such as French savate and la canne, are relatively well-known, others, such as jogo do pau (Portuguese stick-fighting) have been virtually unknown outside of their own country until recent years. Italy, particularly the more conservative south, is a treasure trove of old fighting traditions, that over the centuries have been practiced by everything from shepherds to mafiosi! Maestro Roberto Laura is an inheritor of several of these traditions and a long-time researcher into their methodology, mythology and verifiable history. In Sword of the People he tries to sort fact from fantasy, legend from history while presenting the depth, breadth and beauty of Italian fighting arts. Currently being translated from its German original, and available in 2017, we are pleased to present this first sneak-peak at this unique and beautiful book. For this endeavor, it must be noted that the knife was not considered a traitorous weapon, but as the ‘Sword of the People’ throughout the entirety of southern Italy, starting with the rural area outside of Rome. This book introduces readers to the path of traditional Italian knife and stick fencing schools, with the hope to thereby contribute to their conservation. It does not presume to be complete, but rather to lay a cornerstone for others to build upon. But how should the history of the Southern Italian knife be told? For the uninitiated, these old arts were largely hidden. It is a history of secrecy, of omertà. A blending of blood-oaths, covenants and fear of reprisal combined with pride in belonging to a secret and chivalrous society, created a culture that to sought to prevent the secrets of the blade – as well as the shepherd’s stick – from falling to the ears of outsiders. This fear of exposure, when combined with the widespread illiteracy in the lower peasant classes and urban sub-proletariat of 19th century Italy, created a purely oral tradition. Thus my research for this book began in the dark. At first it was shaped predominantly by speculation and assumptions. Over the years, I engaged not only physically but also mentally and literarily with this sub-culture of the land of my birth. I read a lot of secondary literature on the history, art and culture of southern Italy; books that at first glance seem to have little to do with the subject of the knife. To understand any complex, incompletely understood and orally communicated area of study it is important to appreciate its essence, especially its relationship to history and culture. Only then can a judgment be made that differentiates between whether a given piece of information is likely true, or possibly not. This desire to truly understand forced me to pursue lines of inquiry that were often little more than indistinct traces or rumors. Rather than producing frustration, the mysterious nature of the search for these truths was and remains an important part of the appeal of this work. The lack of a written record around this oral tradition meant that no other approach was possible. Over the course of this uncertain journey I met both true masters, as well as those that merely assumed the title. Many provided valuable information and perspectives. With some I studied briefly, while with others I still study as I write this. Both the true masters of this tradition, as well as the researchers who dedicate themselves to its study are critical links between the past and the present. This research opens for us all not only a world of historical Italian tradition and culture but an exploration of our own contemporary values and perceptions. Today, despite many years of effort and publication by numerous researchers Italy remains largely unappreciated and ill-understood in the sphere of martial arts. My aim is to introduce you, the reader to this rich but currently still largely unknown tradition. This book presents not merely principles, techniques, tactics and patterns of movement, but outlines key historical factors and cultural aspects of traditional Italian fencing. As a result of this broader mission, you will find this book not laden with images of techniques, as is the case with many martial arts treatises. Instead, the broader context of these complex orally-transmitted Italian traditions is front and centre. Without a fundamental understanding of the historical background of an epoch — its culture, traditions and the mentality of the respective population — a martial art becomes soulless; a pure instrument of death, a system of mechanics, effective, perhaps, but dead as an art. Italian martial arts are far more than mere fencing: They captivate with expressiveness and elegance, with rhythm and cultural depth. Their culture and spirit are shaped by an urban versus a rural outlook. 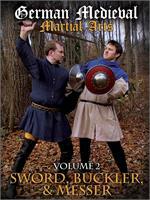 They are partially inspired by religion, and arise from legends and myths around soldiering and chivalry. Further, the crime syndicates of southern Italy — la mafia, camorra, etc. — who maintained a mythology of being one part chivalric champions, one part criminal, one part anarchists, also influenced them. I do not believe that deep passion for a martial cart can truly develop without at least some cognizance of its rich cultural origin and context. but in time, through seeking, we may learn and know things better. Prior to delving into the history and culture of Southern Italy’s knife traditions, in this first chapter, I describe how I arrived at my ”personal interpretation” of the tradition. It will describe not only the journey, but also the thoughts driving it. However, the path alone is not the goal. Because the actual goal within European fencing traditions was and is to simply strike without being struck yourself, as well as the development of a personal style. Therefore I will voice some thoughts on what, in my opinion, one should pay attention to in order to avoid being too easily lethally struck. Of course, implementation and realization is not possible overnight, and my personal research on the subject will never really be concluded. It is difficult to foresee how something, or oneself will develop over time. Thus, my early beginnings in the art of knife fencing were extremely interesting and exciting, but also somewhat obscure. 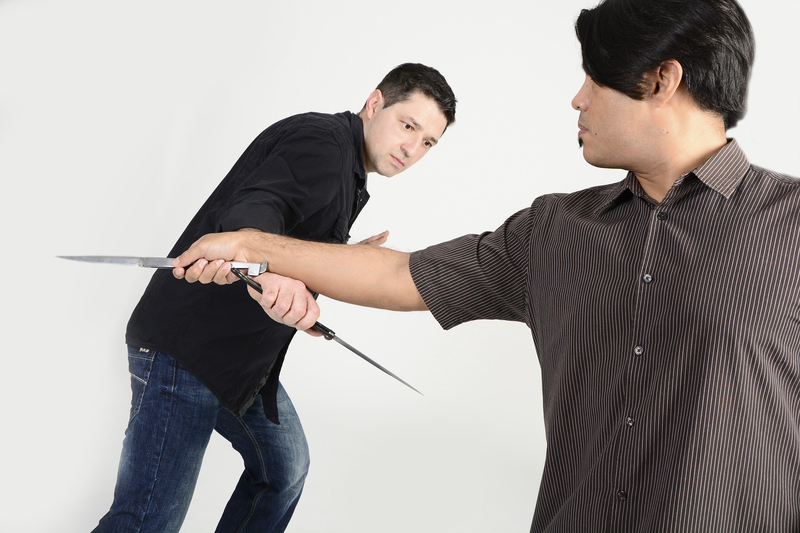 The following therefore describes my development within the Italian tradition and contains several conclusions regarding the technique, tactics and ethics of knife fighting. It is also my aim to show that the Italian way of “commoner fencing” is more than a mere collection of techniques and tactics/strategies. These traditions not only have value as a means of defense, they also have athletic merit. Beyond that, however, they also have value as a highly cultural art form with a great degree of sophistication that is certainly comparable to the art of dancing. But most of all, these traditions are living embodiments of the philosophy of an earlier time. Traditional Italian Knife Fighting (TIKF) is an umbrella term of my devising, but it is also the path to an individual fencing identity. It is impossible for me to limit myself to one school by name, since I have passed through schools of numerous regions and teachers/instructors. Sometimes these schools are so similar, nearly identical, that it only the teacher’s expression of the art, or the spirit of how it is taught that is different. I have trained in several schools like this, and it would be impossible to say that I study this one lineage or another as my official moniker, because the other schools would then lack the respect they are due. 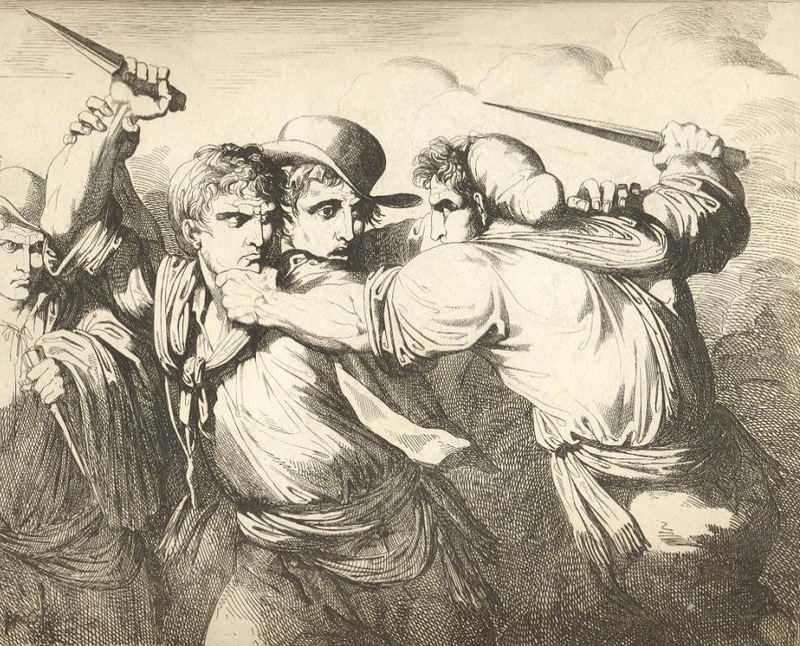 Most schools of the South did not have a formal name anyway; one merely spoke of “knife and stick” or rather of the “school of the thrust and the cut” (scuola di punta e taglio) or generally of fighting with a knife, scherma di coltello. Finally, it seems advantageous to me to use a name that today can be understood universally/internationally. The overall tradition is not derogated thereby since the principles, techniques and tactics of the individual systems and schools within my TIKF curriculum certainly keep their handed-down didactics and their traditional name. My interpretation of the traditions does not concern only their technical implementation, but also their didactical, tactical-analytical and philosophical paths. Moreover I do not claim that my school is better than other traditions or systems. Traditional Italian Knife Fighting is, viewed technically and fundamentally, a synthesis of the traditions described in this book, but it is much more than that. It is an invitation to doubt constructively, to analyze using your own intellect/mind/head. And therefore TIKF is not a hybrid system, selecting out what I consider the best techniques and tactics. On the contrary, TIKF teaches all traditional schools it encompasses with the goal of having the respective student internalize, adapt and express it to his size, abilities, temperament, etc. The advantage of this approach is that, as soon as a practitioner achieves the necessary fencing ability, or rather, when he has mentally and physically absorbed the closed system of a tradition, can continually adapt the school to his requirements. Thus he can, as the case may be, improve it. Traditions maintain a core method, philosophy and approach, but they also adapt, refine and test themselves, or else, they become a fossil. In the long run the student should not have to content himself with my choices, instead he should, assuming he wishes it, be able to develop himself freely. Here is an example of modern adaptation in the service of preserving a traditions’ martiality. A student should train without fear of needless pain and injury. Especially in the beginning, students discover that constant pain can contribute to an inability to act freely, constantly fearing that further pain is inflicted. Based on these concerns I asked Hendrik Röber from Trinity Combat Gear to design padded dueling knives, a padded variation of the traditional wooden practice knives that are used in the South of Italy. Once technical safety has been achieved, you then can confidently go back to wood, and the occasional pain teaches, rather than inhibits. These training aids are outstanding, especially for actions directed at the weapon-bearing arm that require a great deal of practice. Many years have passed since my initial forays on this topic, since the start of this passion and this research. I met many teachers, saw different approaches and interpretations, heard multiple stories. All these teachers (in the course of this chapter I will only name those who still influence my school or those whom I still work), as well as all my long-term students have supported me on this fencing journey. They helped me to recognize both the correct the wrong steps and how to better differentiate between the two. Above all however – and that sounds almost absurd – my journey to the Southern Italian knife schools started not in Southern Italy, the traditional home of these arts, but rather in the North of the bel paese. In actual fact I did not really start down this path alone. At the start, we were a small group of conspiring German enthusiasts, but because I spoke the language, I was the one who undertook most of the initial travel. My initial companions provided me with analytical, financial and moral support (because it was not always easy to find teachers, convince them to teach, or navigate old rivalries or cultural conflicts of which I was unaware). My colleagues and I met up after each trip to go over the knowledge I had gained, analyze the techniques and record it. Many of those companions who supported me with word and deed and sometimes accompanied me on my travels are still with me today. The first trip in 2001 took me to the Province of Ravenna, where I received instruction by Antonio Merendoni, one of the first modern researchers on the Italian tradition, and the first who recorded these arts in writing and on film. He wrote L’arte italiana del maneggio delle lame corte, dal 1350 al 1943. Storia e tecnica (The Italian art of the short blade from 1350 to 1943. History and Technique). This first teacher introduced me to the general principles, of both military and civilian knife and stick fighting. From him I received my first teaching diploma for Italian knife and stick fighting in December 2002. Based on his lessons I changed my perspective away from the cut, for example, as is taught in many Filipino and modern styles, to focus on the thrust. He also taught me the need for well-thought-out/deliberate guards (fencing positions). Ultimately, Merendoni changed my perspective in regards to the required scope and structure of a system: he guided me away from a technical to a methodical-tactical orientation. Somehow those years had something romantic about them. We were pioneers, virtually plowing along on our own. In 2006, my next stop was Genovese stick and knife fight, the bastone genovese. I was taught by Claudio Parodi, the last remaining Maestro of that tradition, and author of the book Bastone genovese, coltello e gambetto. I, too, am now a licensed a teacher of this art. The tradition from Genoa was important to me because I was born not far from there, and it was therefore an art from the land of my ancestors. Consequently, my mentor in that tradition was also the first real traditional fencing teacher who taught me. Didactically, however, there was no appreciable difference between my initial experiences in Ravenna and this tradition from Genoa. Both teachers structured their lessons in a similar manner and with a consistency, logic and simplicity that had been unknown to me until then. That same year the opportunity arose to study the Apulian fencing school of knife and stick from Manfredonia. This South-Italian tradition, does not actually have a specific name, but is called by some the School of the Knights of Humility Cavalieri di Umilita) and by others Fioretto (foil), was my introduction to the secretive and also more complex methodology and didactics of the southern traditions. In regards to the Manfredonian school, I was able to gain experience with diverse instructors, and experienced different interpretations of a single art, revealing a more differentiated picture of what was the core of the art, and what was individual preference. I built my foundation by training with a small group of conspiratorial enthusiasts. After that, I went to one of the traditional knife families still residing in Manfredonia today, where I received further instruction. This branch is based on the teachings of the deceased Maestro U Sardun. Here I would like to pay homage to Maestro Salvatore D’Ascanio, who had enormous influence on my development in the techniques of this tradition. Maestro D’Ascanio improved my dynamics, and taught me how to differentiate the core elements (mechanical and aesthetic) of this school from surface differences. Simply put, he was the one who conclusively decoded the subtleties of the Manfredonian tradition in its entirety for me (see Chapter 6), even though we will see that this branch deviates somewhat from the previous ones in technique, didactics and terminology. And this is an important lesson as well: sometimes what seems like a branch is closer to the roots of a tradition than its trunk. 1.3.4 Sicily and the A.S.A.M.I.R. A few years later, the chance arose to learn the Sicilian fencing schools of the knife and stick within the ASAMIR. Initially, I received instruction in the shepherd’s stick of the Scuola Fiorata (“Flowery School”) from Calatabiano. This caused me to question my view of a “proper cover”. Maestro Orazio Barbagallo, founder of ASAMIR and my mentor in regards to Sicilian culture, was an excellent source for the old tradition of the Scuola Ruotata (“Circling School”) from Riposto. He was the first person to open the door to the Sicilian schools, and to this day he is my teacher in the traditional Circling School of the shepherd’s stick, as he learned it from the Maestro degli Maestri (“Master of Masters” or grandmaster), U Scapellinu. Thanks to him, I was able to get to the roots of this tradition, as he put me in contact with Maestro Salvatore Scarcella, an icon of the Corto Ruotato Tradizionale from Riposto (Circling Knife School, see Chapter 7). Maestro Scarcella is a teacher who, with a single movement of his armed hand, can demonstrate at exactly the right moment how and why your actions were ineffective. He was the first who showed me that a simple thrust is more than it appears. It is due to him that I became familiar with the true Sicilian knife. Maestro Scarcella has six decades of fencing experience and clearly demonstrates that. Almost parallel to my Sicilian training I began learning the peasant tradition of defense with knife and stick, the system of heaven and marvels, Cielo e Meraviglia, from Canosa in Apulia. I trained with one of the few remaining masters of this art (see Chapter 8). He made accessible to me this system of close-quarter combat with the knife, which appears lost, or rather less trusted and emphasized, in the fencing schools focused on dueling conventions. This special form of “wrestling with a knife” exhibits some clear connections to medieval dagger fencing, illustrating the technically close relationship with European fencing masters from centuries long passed. Therefore, the many system-specific, close-quarter combat bindings improved my ability to quickly turn a conflict from defense into offense without having to act from wide measure. As we will see, every fencing school focused on knife dueling uses the same progression: First you learn the school (scuola), the basic movements, in strictly set lessons, also called “figures” or “thrusts” (lezione, figure, puntate). Depending on the tradition, these individual lessons sometimes develop into extended solo forms. This is followed by the “schooling” or “instruction” (insegnamento), where the basic solo movements are now practiced with a partner. The insegnamento also includes, tactics, tricks as and use of the strategic use of the various fencing guards. This traditional procedure has, of course, been adopted in TIKF and is part of how we insure the core spirit and method of the art is preserved. In addition, instruction in my school consists of the ”didactic trinity”: Play, Defense and Attack (trinità diddattica: gioco, difesa e attacco; but this is a neologism, not a traditional term). First, the student learns the system-specific “play of the figures”, which consist of the basic movements necessary for changing positions. Then follows the specific defenses with the blade and the empty hand from the “play of the figures”. After that, the student is introduced to the various basic attacks and tricks that also occur out of “walking the circle”. The last step connects the three key points – play, defense and attack – so that one flows into the next, or rather, so that there is no longer a clear dividing line: A defense becomes an attack, just like an attack becomes a defense; a circular or spiraling movement is used for defense and attack, and the attacks and defenses are applications forms of the circular walking. All original content ©2011 Freelance Academy Press. All rights reserved.